Manufacturing efforts across the U.S. are expanding slowly but surely, and part of the reason there hasn't been more rapid growth is the fact that there's a massive and ever-growing skills gap between what companies need and what candidates can provide. To that end, many organizations - both public and private - are working hard to form training options for all levels of workers to enter the industry and lend a helping hand as soon as possible. The automaker Subaru of Indiana Automotive recently broke ground on a planned training center that will replace its 30-year-old facility, according to Lafayette television station WLFI. The location SIA currently uses is not only old, but it's small at 10,000 square feet. The new option will double that square footage and have a variety of training options, including a mockup of the factory floor, multiple classrooms, training robots and more. It's likely that the new facility will open before the end of 2019. "We want the associates at SIA and the general community to understand that the education of our associates is very very important and we are very very committed to invest in the future of the associates and the company," Scott Brand, the company's senior vice president, told the station. Of course, many companies have their own internal training facilities or efforts, or otherwise support independent options such as those available from local universities. 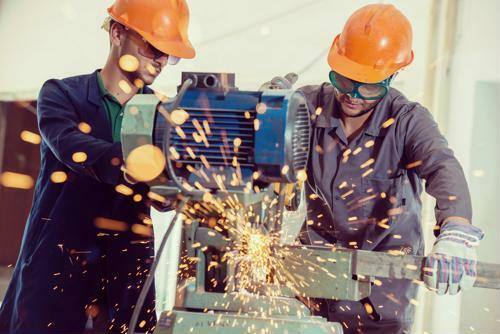 However, according to the National Institute of Metalworking Skills, many of these efforts may need to be modernized to truly meet ongoing industry needs. To that end, the NIMS is introducing new industry-standard best practices that may help companies keep up with the shifts that have happened just in the past several years. Montez King, executive director of NIMS, noted that this extends from on-the-job training to apprenticeships and other training options, as a result of everything from Industry 4.0 to digitization of more processes within a factory setting, the report said. NIMS has introduced a new website to better advise organizations as to how they can improve their current and future manufacturing training efforts. One of the other big trends in manufacturing training these days is to give people the opportunity to learn about the industry and the kind of work it requires while they're young, according to Colorado Springs television station KKTV. In Colorado Springs, the Manufacturing Industry Learning Lab National Training Center hosts about 200 high school students on a daily basis as a part of their normal coursework, and by and large, it has proven quite popular with attendees. Currently, it offers courses on woodworking and construction, but will soon expand its offerings to include welding as well. When manufacturing companies are looking to staff up - or just retain their present crop of workers in increasingly competitive environments - it's vital that they provide both new and existing workers with higher pay and better benefits.